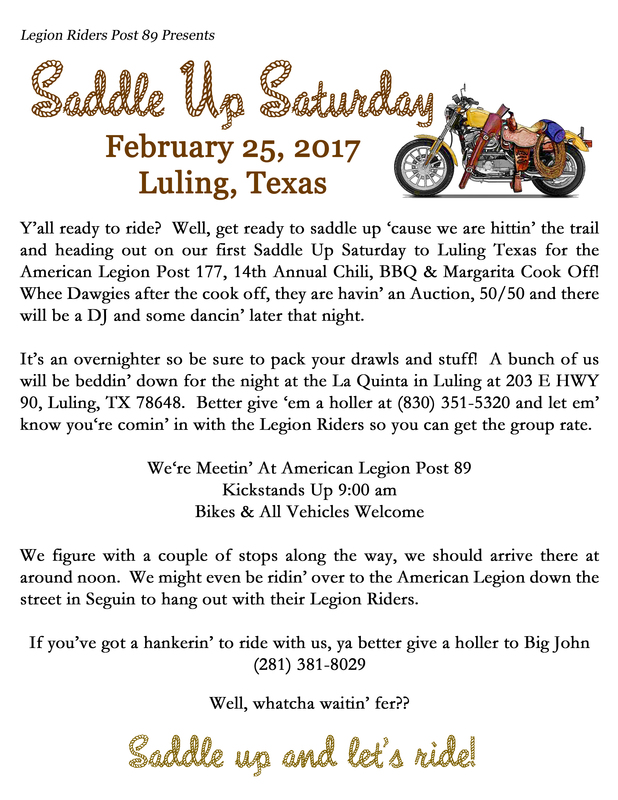 The Legion Riders of Post 89 are gearing up for our first Saddle Up Saturday ride to Luling Texas! Can’t wait to get out on the road and meet up with Luling Post 177 for their annual Chili, BBQ & Margarita Cook Off! There’s still time for you to join us! We will be staying the night at the La Quinta Inn in Luling and they are offering a discount for us so if you’re going, be sure to give them a call and book your room! Click on the flier for larger view or download pdf.